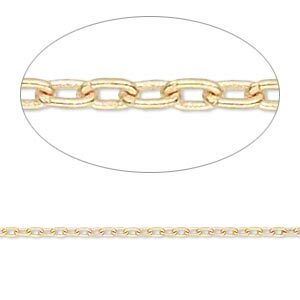 Chain, 14Kt gold-filled, 3x2.5mm cable. 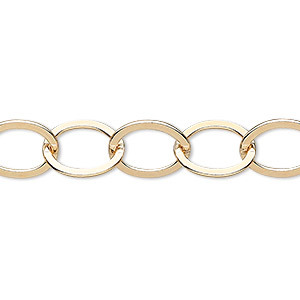 Sold per pkg of 5 feet. 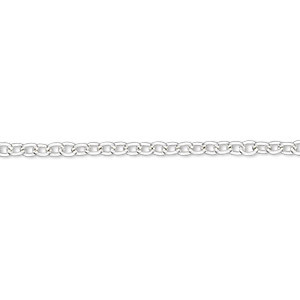 Item Number: H20-1670CH Have a question about this item? 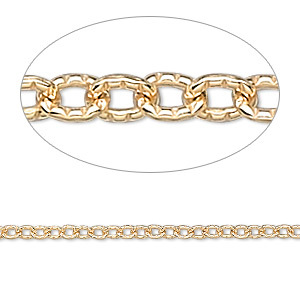 Fantastic chain styles in 14Kt gold-filled available in 5-foot packages. 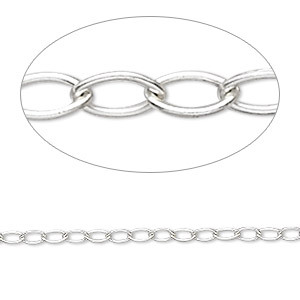 Experiment by stringing these chains with gemstone, acrylic and pearl beads into long length, luxurious necklaces, or multiple 'stacked' bracelets. 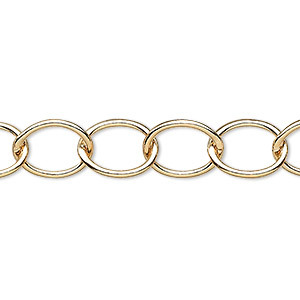 Or simply add a clasp and you're ready to go. These classics will be worn and appreciated for years. 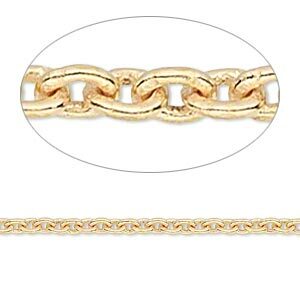 Chain, 14Kt gold-filled, 2.5x2mm flat cable. Sold per pkg of 5 feet. 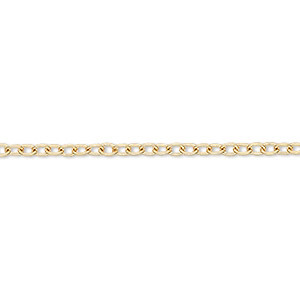 Chain, 14Kt gold-filled, 3mm cable. Sold per pkg of 5 feet. 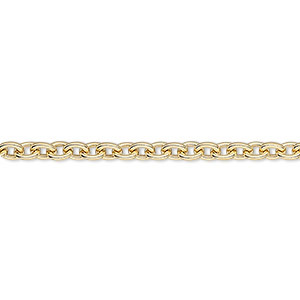 Chain, 14Kt gold-filled, 11x10mm flat cable. Sold per pkg of 5 feet. 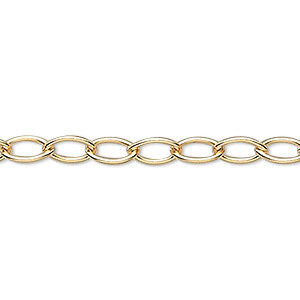 Chain, 14Kt gold-filled, 10x9mm cable. 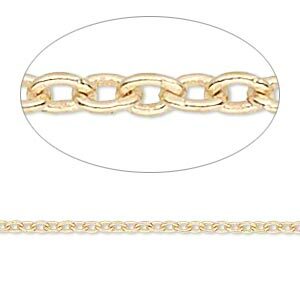 Sold per pkg of 5 feet.